Michael David Cabinetry and Design, LLC has the experience to help you choose the right materials for your project with a variety of wood types, style and finishes to select from. We come to your location to see the project, take measurements and answer any questions you may have. We offer a wide range of services from kitchen and bath remolding as well as custom bookcases, home and commercial offices, entertainment centers, counter tops, home bars, new construction to remodeling and commercial services; we will meet your every need. Each project is custom made to the dimensions required. 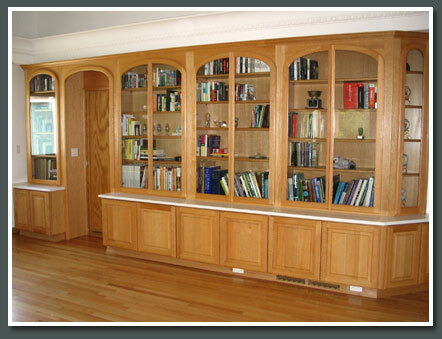 Michael David Cabinetry and Design works with a variety of beautiful cabinet wood types from birch to oak. Each wood type has its own character and there are many to choose from. Michael David Cabinetry offers finishes & techniques to customize your look even more from painted, stained, and distressed even glazed. Glazing & Distressing is a technique that gives an aged appearance, added character and depth to wood surfaces.